I don’t know about you but shoes and Martinis have definitely caused me slight pain and suffering over the years, but that hasn't stopped me yet and I'll keep strut-tining on (hold on while I coin that term). Technically this post was supposed to happen when we get to the finishing stage on each room (after the remodel), but I couldn’t resist sharing this easy transformation. Please forgive the crappy phone shot. Yes, that is our microwave in the laundry room, that’s totally normal during remodeling, right?! I do own some comfy shoes as in those mega-comfortable Etnies skater shoes. Back on track. Enter stage right- the perfect corner to hide away but proudly display them at the same time. We still had left over doors from installing the closet shelves, the beau has the tools to cut just about any kind of lumber, and he always has tons of extra screws lying around so this project the big fat $0. We pretty much did the same thing as the Patches and Shelves post when installing the shelves minus the use of brackets. 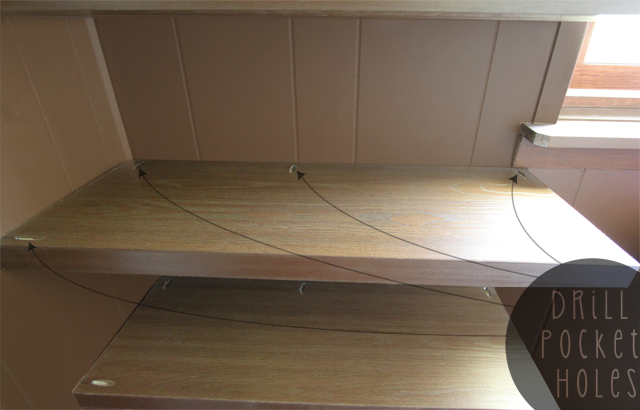 Instead of brackets, he used the Kreg Jig to make them ‘float’ by putting a few pocket holes in each shelf. If attempting at home, ensure the holes line up with studs. You wouldn’t want scuff marks all over your precious shoes now would you? All that was left to do was fill the shelves. Of course I can only drool over designer shoes because let’s face it $1,195 is just a little over my monthly allowance for shoes. Are you making any budget updates to your dwelling? 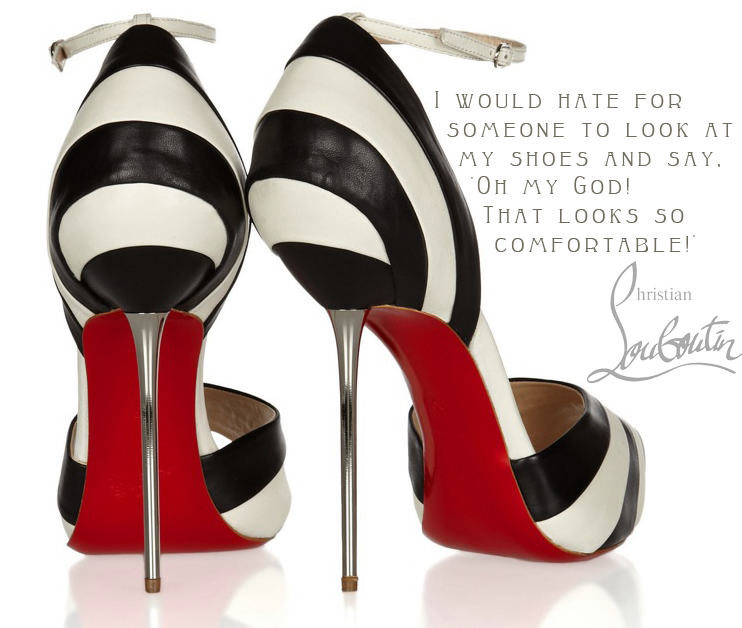 Are you drooling all over those Louboutins? Do you think Martinis and Shoes are worth suffering for? Any Martini AND Shoe lovers in the house? 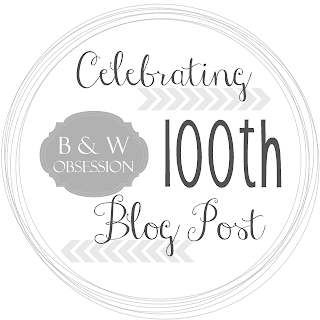 In two short posts, we’re hosting our first giveaway for the 100th post celebration! This is one post you can’t miss! 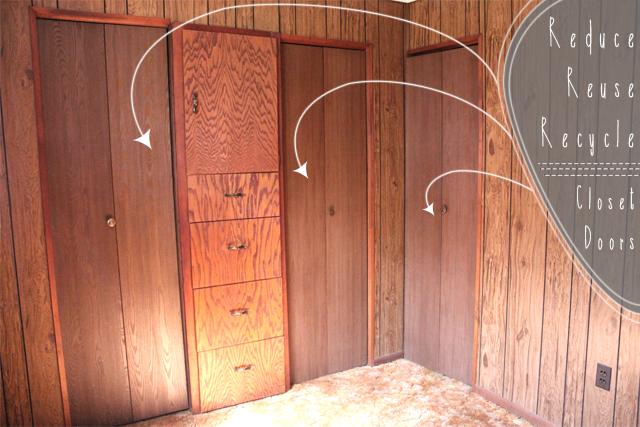 Want to follow along with the 2nd bedroom turned Laundry Room progression? 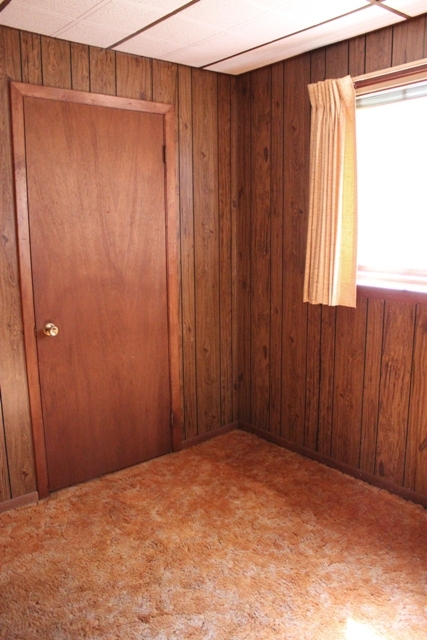 Here's plans for the 2nd bedroom, tearing it up, fixing unlevel floors, adding plumbing, and building shelves. P.S. I was not paid or perked from Etnies or any other vendor mentioned in this post; I just happily provided a source to their amazingly comfortable shoes. I find it funny when about every store associate stops to ask if they can help you find something when wearing high heels into home depot. 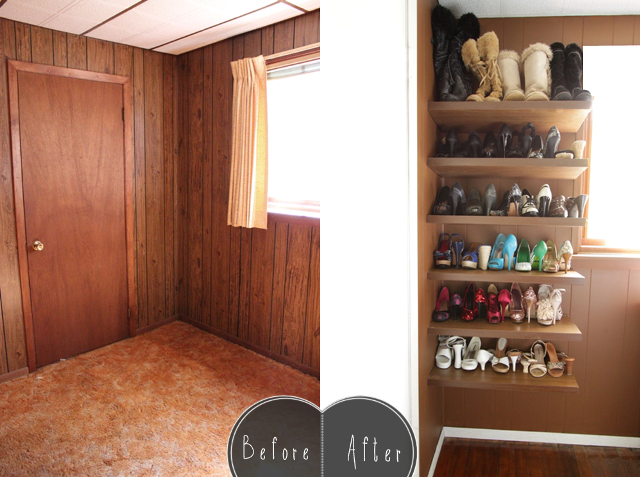 Since obviously a woman wearing high heels can not be capable of doing home improvements and must be lost if she's in the lumber department and not the paint department :) This ever happen to you? Fab job on the reuse and recycle of the closet doors. I love finding new purposes for material like that. Oh yesss, don't even get me started about Dealerships or Mechanics. Yes I'm a girl, and yes I know a thing or two about getting my hands dirty. Just because I like to wear heels doesn't mean I'm incompetent. Call me a good mix of tomboy and girly-girl. Like Megan Fox in Transformers or Charlize Theron in Italian Job. I hate being asked if I want help. If I want help, I will ask you. I hear ya, sometimes I think it is just to start a conversation. Great way to reuse the doors! Haha, sooooooooo much better than the box! Been there. I'm still using the over the door shoe holder. Ohmygosh, I love those cute 'lil lace up heels! I was wondering if anyone would notice the lack of room! Someday I'll have a bigger closet but in the meantime I may have to start the dreaded buy one give one away. I can't walk in heels. I like the idea of them. I buy them. Wear them for a few minutes and then remember I cannot walk in heels :( It's sad because I really am super girly. Just not dainty damn it!!!!!!!!! It takes practice. Oh and looking down at the ground to make sure there isn't an unexpected crack. No more twisting ankles!